Unlike most seminary and college relations, Grace Theological Seminary actually came before the college, being founded in 1937, and eventually sponsored the formation of Grace College in 1948. Unapologetically evangelical, Grace Seminary combines theological education in the premillennial, dispensationalist tradition. Grace offers three degrees, each with specific concentrations available. The primary seminary degree, the MDiv, may be earned with concentrations in Exegetical Studies, Pastoral Studies, Pastoral Counseling, Intercultural Studies, and Chaplaincy. An MA degree is also available, with concentrations in Intercultural Studies or Local Church Ministry. For ministers and others involved in pastoral ministry, the DMin is offered with concentrations in either Intercultural Studies or Pastoral Studies. Finally, for those involved in professional missions, the DMiss (Doctor of Missiology) is offered in either English or Korean. Throughout the school year, the seminary sponsors many activities and events to foster student fellowship and involvement in the larger seminary community. During the Fall and Spring semester, regular chapel services provide students with opportunities for group worship and prayer. 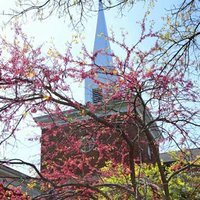 One day each semester, the seminary dismisses classes and the day is reserved for community worship and prayer. Also, students are required to belong to a mentoring group each semester they are enrolled, where students and faculty connect for group support, prayer, and encouragement. In addition to the seminary community itself, students are part of the larger Grace College community, and as such enjoy access to all college amenities, including participation in music ensembles (such as Symphony of the Lakes), intramural sports, athletic events, an on-campus Art Gallery, and the Gordon Student Recreation Center, an impressive complex that offers numerous a fitness center complete with a wide range of cardio equipment, exercise machines, and free weights. Also available are several basketball courts, indoor track, volleyball courts, and batting cages. A wood-floor equipped aerobics room is also available. While seminary students may elect to eat their meals on campus at the Alpha Dining Commons, there is no seminary-sponsored housing available from Grace. The seminary estimates that students may be able to rent apartments or houses in the area for $450 - $750 a month. If single students elect to share expenses with a roommate(s), the cost can be significantly less-expensive. The primary form of financial aid for Grace Seminary students is the Federal Student Loan program; however, there are supplemental forms of aid available from the seminary, including the Grace Theological Seminary Scholarship ($65/hr for Grace Brethren students; $50/hr for non-Grace Brethren students); FGBC Scholarship (for students prepared to serve a Fellowship of Grace Brethren Church after graduation); Church Matching Program ($500/student/academic year). There are also many opportunities to work in the area either part-time or, in some cases, full-time.